I took these photographs over a year ago and have been meaning to post something about them for a long time but am only getting around to doing it now……better late than never! You can see what a huge difference an item of clothing makes to a photograph. When you look at the photograph on the left all you can see is the dress where on the right its the childs face that you are drawn to. It is a beautiful dress in the photo on the left but it does not photograph well in the studio. I thought I would post this to let people see that softer colours work best when photographing children and give you something to think about when picking an outfit for photographs. 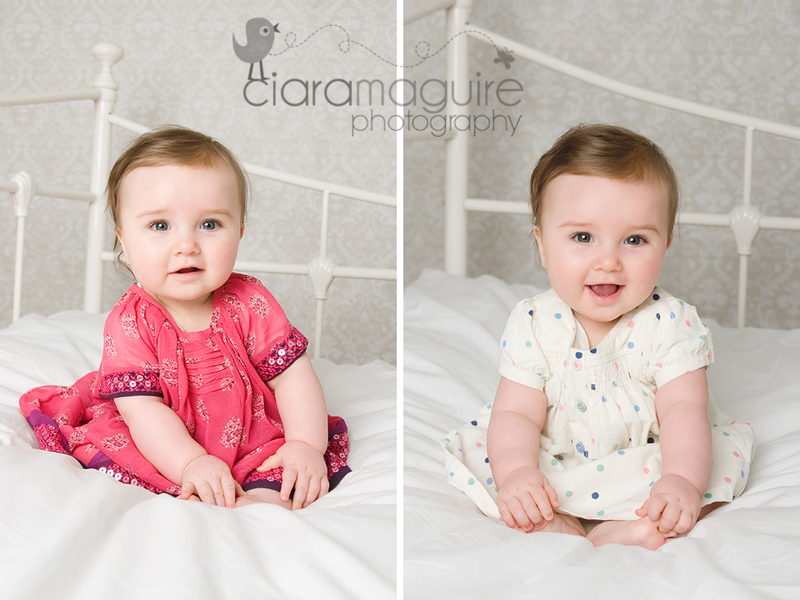 When you look at your photographs you don’t want to be drawn to what they are wearing but their cute little faces.